Come along and connect with business people who share a passion for rugby and help to find a cure for paralysis for all. 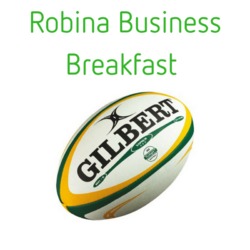 Start your day with a great breakfast, a wonderful networking opportunity and hear from Australian Wallabies legends in the panel discussion in the lead up to the Wallabies Vs Argentina match on Saturday 15th September. Hosted by Heath Hill at Cbus Super Stadium in the Coast Room, the event will feature special guest speakers, Nathan Grey, Nathan Sharpe and Stephen Moore. Ticket includes, plated hot breakfast, beverages, lucky door prizes and raffle.